Robert Gabriel Mugabe was born on 21 February 1924, in Kutama, then Southern Rhodesia, now Zimbabwe, and is a politician, best known for being the president of his country. He also became the Prime Minister of the country during the 1980s, and is now one of the longest serving Heads of State. All of his efforts have helped put his net worth to where it is today. How rich is Robert Mugabe? As of mid-2016, sources estimate a net worth that is at $10 million, mostly earned through a career in politics, with which he has been involved in Rhodesia/Zimbabwe since he was young and even fought during the Rhodesian Bush War. He has participated in several election runs, and these have ensured the position of his wealth. 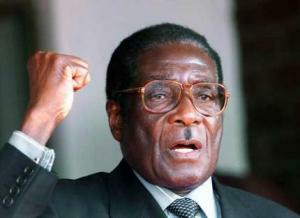 Mugabe was raised as a catholic, and attended Kutama College. During this period, he spent a lot of time with the priests and eventually obtained qualifications to be a teacher. However, he decided to go to South Africa and study at Fort Hare. After graduating, he would continue to study and eventually gather a total of seven degrees, including a Master’s degree in Science and Law. He then began a teaching career in 1955, and would teach at several schools until 1960. Mugabe then returned to his home and joined the National Democratic Party (NDP) and later the Zimbabwe African Peoples Union (ZAPU), eventually three years later he joined the Zimbabwe African National Union (ZANU). Political tensions between the two groups reached a violent point and after the murder of a farmer, a lot of ZANU officials were arrested including Robert. In 1974, despite being detained he became the leader of ZANU. He was eventually released along with other leaders and went into protective custody. He would gain full control of the group the following year, intent on continuing his political career. In 1980, despite mistrust, issues and tension in Zimbabwe, Mugabe would become the head of the first government as prime minister thanks to ZANU taking over the new parliament. After the election, he decided to make a tension filled peace with ZAPU, but in 1983, due to tensions with the Ndebele tribe, Mugabe accused them of trying to overthrow him and went on to a military campaign against the group. This was taken negatively and was considered as an act of mass murder during his rule. Eventually, peace was negotiated in 1987 and it saw the creation of the Zimbabwe African National Union-Patriotic Front (ZANU-PF). Another controversial issue during this time was the death of over 20,000 people in Matabeleland, after Mugabe discovered old weapons in the area. The acts of killing were attributed to him and his military force called the Fifth Brigade. In 1987, the position of Prime Minister was abolished, and Mugabe became the President of Zimbabwe; he also became the Chancellor of most State Universities including the University of Zimbabwe. The economy of the country started to show growth, and infant mortality rates lowered. However life expectancy in the country was still low for any nation, with men only living an average of 37 years. Robert focused on increasing the literacy rate of Zimbabwe, but also made a controversial decision to participate in the Second Congo War, despite the struggling economy of the country which was only then starting to experience growth. However their participation was seen as an invasion scheme by the Congo government. In 2008, he went on to participate in the General Elections, and was defeated during the first round of elections, however, violence from ZANU-PF forces led to an increase of his votes during the run-off election. He was later re-elected in 2013. For his personal life, it is known that he married Sally Hayfron, but she passed away in 1992 due to a kidney ailment; they had a son who also passed away, from cerebral malaria. During his marriage, it was known that he had an affair with his secretary Grace Marufu and they married later in 1996. He also has a son with her; she has drawn criticism because of her lavish lifestyle. 1 [to the citizens of Zimbabwe, on the death by poachers of an iconic animal] Cecil the lion was yours, and you failed to protect him. 2 It may be necessary to use methods other than constitutional ones. 3 I wish to assure you that there can never be any return to the state of armed conflict which existed before our commitment to peace and the democratic process of election under the Lancaster House agreement. 4 We pride ourselves as being top, really, on the African ladder... We feel that we have actually been advancing rather than going backwards. 5 We have said the first step was to designate the land, inform the owners. And the second would be to get the responses from the owners. And this will be openly done. 6 Stay with us, please remain in this country and constitute a nation based on national unity. 7 We are no longer going to ask for the land, but we are going to take it without negotiating. 8 Was it not enough punishment and suffering in history that we were uprooted and made helpless slaves not only in new colonial outposts but also domestically. 9 We don't mind having sanctions banning us from Europe. We are not Europeans. 10 If the choice were made, one for us to lose our sovereignty and become a member of the Commonwealth or remain with our sovereignty and lose the membership of the Commonwealth, I would say let the Commonwealth go. 11 I have died many times. I have actually beaten Jesus Christ because he only died once. 12 We of Africa protest that, in this day and age, we should continue to be treated as lesser human beings than other races. 13 People are free to campaign and they will be free to vote. There won't be any soldiers, you know, at the queues. Anyone who has the right to vote is free to go and cast his vote anywhere in his own area, in his own constituency. 14 In most recent times, as the West started being hostile to us, we deliberately declared a Look East policy. 15 True, some land was bought by a few Cabinet Ministers. They bought the land. No minister, to my knowledge acquired land which was meant for resettlement. 16 We are not hungry... Why foist this food upon us? We don't want to be choked. We have enough. 17 So, Blair keep your England, and let me keep my Zimbabwe. 18 Some people are contriving ways and means of making us collapse. 19 There are things one must do for oneself. 20 Our party must continue to strike fear in the heart of the white man, our real enemy! 21 Countries such as the U.S. and Britain have taken it upon themselves to decide for us in the developing world, even to interfere in our domestic affairs and to bring about what they call regime change. 22 The land is ours. It's not European and we have taken it, we have given it to the rightful people... Those of white extraction who happen to be in the country and are farming are welcome to do so, but they must do so on the basis of equality. 23 The white man is not indigenous to Africa. Africa is for Africans. Zimbabwe is for Zimbabweans. 24 Our votes must go together with our guns. After all, any vote we shall have, shall have been the product of the gun. The gun which produces the vote should remain its security officer - its guarantor. The people's votes and the people's guns are always inseparable twins. 25 The only white man you can trust is a dead white man. 1 While many Western politicians accuse him of corruption, suppression of political opposition, mishandling of land reform and deteriorating human rights, many Africans consider him a hero of the fight for Independence. 2 Has been Prime Minister from 18 April 1980 to 31 December 1987 and President of Zimbabwe since 31 December 1987.